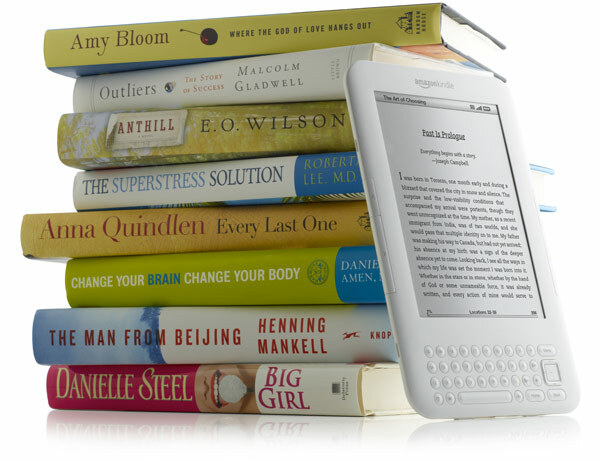 July 19, 2010 marked the day that Amazon's digital book sales eclipsed the sales of hardcover books, and it barely took half a year for those e-book sales to also overtake the sales of paperbacks. According to the ouftit's latest earnings release, "Kindle books have now overtaken paperback books as the most popular format on Amazon.com." The company had surmised that this would happen by Q2 of this year, but it clearly went down a lot earlier than even it expected. Bezos and co. also sold through $12.95 billion worth of goods, representing The Jungle's first "$10 billion quarter." That came up to $416 million in net income, representing an eight percent uptick year-over-year. Of note, operating income slipped from $476 million in Q4 2009 to $474 million this year, with the unfavorable impact from year-over-year changes in foreign exchange rates generating a staggering $18 million hit. When looking at 2010 as a whole, Amazon's sales were up 40 percent over 2009, with operating income rising some 25 percent to $1.41 billion compared to the whole of 2009. Speaking specifically of the Kindle, the company is now moving 115 Kindle books for every 100 paperbacks sold, but this obviously only takes into account the US book business. We're still no closer to finding out exactly how many Kindles have been moved, but we're told that "millions" of the third-gen model were moved in Q4 2010, and the Kindle Storeitself has over 810,000 books on its digital shelves. Head on past the break if you're thirsty for more, Sir Economist.